3 Light Adjustable Ceiling Light Peggy is inspired by the great American jazz and popular music singer, songwriter, composer and actress - Peggy Lee. 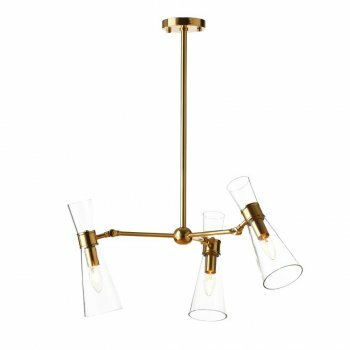 The 3 Light Ceiling Light combines noble metals and glass in a design that sends us back to the vintage trend of the 50s and 60s. 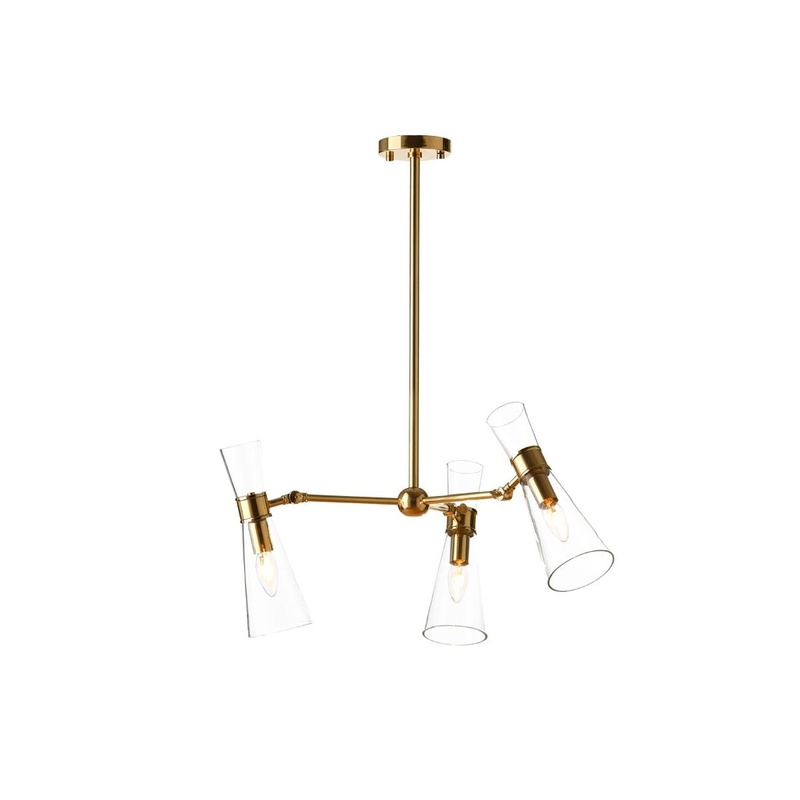 Stylish, adjustable glass shades sit on the end of this gorgeous Ceiling Light. This Suspension Light, designed by Villa Lumi crafted from brass is a resolutely modern incarnation of the retro aesthetic. Hang it proudly in the living room for a beautiful spread of light. Pair it with the matching Peggy Adjustable Table Lamp, Peggy Wall Light or Peggy Adjustable Floor Lamp (available separately) to complete the look.